I’m not much into graphic novels. The idea of them kind of appeals to me, but I just can’t get into the format. I’ve never been big on pictures, I’m much more about the text of books. But I try to read some of these every now and then, in an effort to expand the realm of my reading, and to see if perhaps I can find a graphic novel that I honest and truly enjoy. Here are a few quick reviews of some of the graphic novels I’ve read in the past few months. Anyways, this was a pretty good graphic novel. It is not really about the students, but more about past vampyres and their element affinities (there is one story for each element: water, fire, earth, air, and spirit). The artwork was interesting, and the stories of the women and their abilities were pretty cool. Definitely a must for fans of the series. I only heard of this graphic novel while browsing the Publisher’s Weekly website, but it sounded interesting, so I decided to give it a go. What a great story! This is a junior graphic novel, but it is the sort of story that has humour geared towards an older audience as well. It is a cute story of a girl and her mom living by a mountain in a house that becomes attacked by little invisible people. 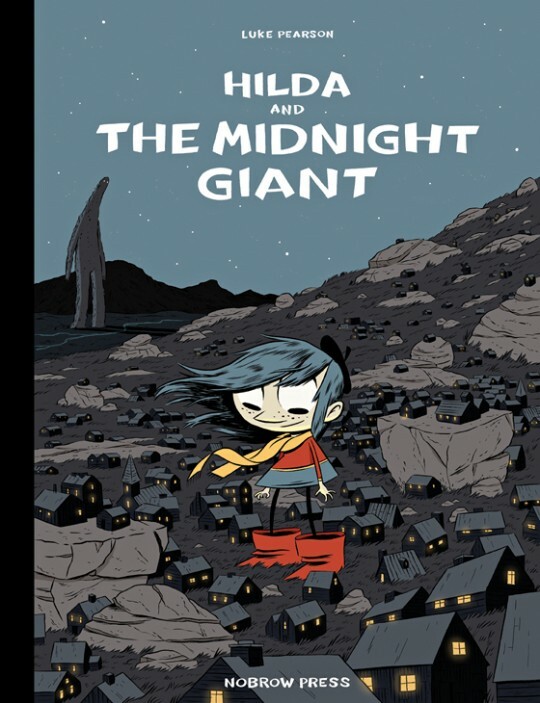 Hilda eventually signs the correct forms so that she can see these little people, and while trying to make peace with them, she comes across an ancient giant looking for a girl who he was supposed to meet after a very, very long time. It’s a sweet story, and definitely made me chuckle a few times. 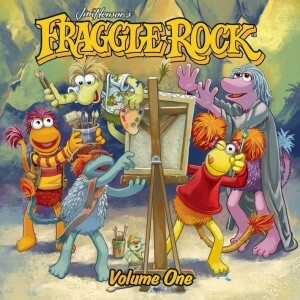 I love Fraggle Rock. Boober is my hero. So when I discovered these graphic novels, I had to try them. I wasn’t sure what to expect…I’m not usually a fan of these kinds of projects. But I was pleasantly surprised! Both of the collections start with a message from a former fraggle muppeter, and the stories are obviously written by fans of the series. The characters stay true to themselves, and there were stories about all of the characters. Each story was written and drawn by different people, so there is a wide range of style and story-type. But it was like various mini-episodes of the show, and I loved that.